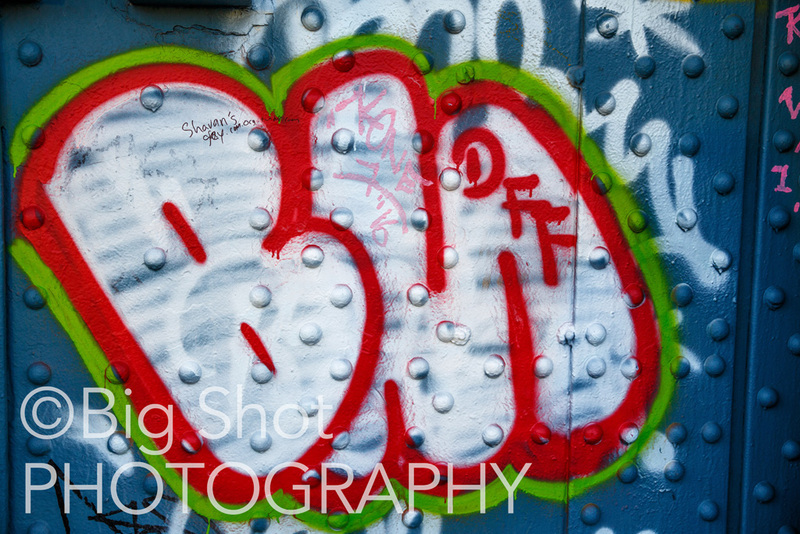 Watermarking, why I think it’s nonsense. This is an opinion, to make the case for NOT UGLI-IFYING your photos with watermarks! I see it every day, spackled over photos posted on social media sites all over the web. Watermarks are ugly, and they do nothing useful. We already know it’s your photo, you are sharing, right? So why be redundant. Unless you are an amazing professional, the reality is there’s only a small chance your photos will ever be stolen. And watermarks will not prevent your images from getting stolen regardless of who you are. Who are those horrible theives anyway? Most likely, it’s the average person who wants to refresh their wallpaper, or a person who wants to make a print and hang it on their office or home wall. Yes, that’s awful, it’s wrong, they should ask permission first, and pay you, but you can’t stop them, watermark or no watermark. If they want it, they’re going to screen-shot it, or right-click it off your web page, crop or clone out the watermark in Photoshop or other editing software. A more savvy user may know code enough to decipher the HTML and download the original. Those dirty S0#$ of B!#%*’$!!!. In the rare instance, someone steals your photo for commercial use, again, a watermark will not stop them either. However, there are some things you can do without watermarking to help prevent theft, that I will explain later. But more important, stop worrying about your photos being stolen. They are distracting, egocentric, and destroy everything that is good about a photo. Leading lines, rule of thirds, golden mean, light, gesture, color, all those traits that make a photo strong, are rendered broken. But what I dislike the most is the egocentricity. It’s as if you are screaming “This is MY signed masterpiece, I made it, I’m amazing, I own it, I’m great, and don’t even think of stealing my precious jewel. Your lucky I even let you look at it. And while you’re looking, don’t forget to press the “Like” button and “Vote for my photo” buttons. The watermark is not real ink from a pen, or paint from a brush, and is not personally signed by your very own hand. It’s an electronic font, tattooed into the photo, like a branding iron on the assess of a herd of cattle. You shouldn’t. Get over yourself. Does it really matter that someone likes your photo enough to want to use it for wallpaper or a screen-resolution print for their office or home? The quality will be screen-resolution, and horrible quality at best. Do you really think you are outsmarting the bad guys? Ok smartypants, what can I do to protect my precious masterpieces? If you are that concerned about protecting your photos from theives, there some steps you can do that are better, actionable, and don’t muck-up your photos with goofy, ugly, ego marks. 2. Add your copyright notice to your EXIF data. What is that? EXIF (Exchangeable Image File Format) is data that is embedded into your photo that contains info such as what camera, lens, focal length, f-stop, aperture, time of capture, GPS location data, and the biggie – copyright, and your name. This identifies the photo as copyright protected and that you are the owner/author/maker. You can add the copyright info, even if you don’t register your photo, and you should. If you are concerned about theft for commercial use, you must register with the government’s copyright office, to be certain. It’s illegal for someone to remove CMI (copyright managment info) in your EXIF data, that identifies your name as author and copyright holder, and the fines start at $2,500 and to up to $25,000 plus lawyers’ fees, if infringed upon. Most people don’t know these consequences. 3. Make it more difficult for others to take your photos without your permission. Disable “right-click” so that novices cannot easily download. READ the terms and conditions of any website you post your photo, particulary Facebook. You can watermark untill you are blue in the face, but once you post directly on certain social media websites, you are likely signing away your usage rights to them. This defeats the watermark, and turns it into just an ego mark. If you disagree with the terms, post a link to the photo from your own website, instead of uploading the photo itself. Be smart about this, plus social media sites often down-sample your photos, which deteriorates the quality and color accuracy. This is huge, no photographer that’s worth their salt wants their photos tampered with. The irony is, posting a watermarked photo on social media, is like saying, I love myself more than I care about the quality of my photos posted here. 4. Discreetly inform your viewers that your photo is copyright protected, in a caption, a comment region below or alongside the photo, not ON the photo. Like this: © 2016 Big Shot Photography. Do not use without permission. 5. If you must share a photo directly to a social media site, and you just can’t stop worrying about theft, downsize the photo. Re-sample the resolution/size down to a small, screen-resolution copy. This will make it impossible to use as a print. This may still not stop someone from stealing it for their website, but the smaller size will make it harder for them to want it. Last words, please stop the insanity, and stop watermarking your photos. Let them be seen in all their magnificent glory, so you the art-tist can be proud. There may be exceptions where you must watermark (I cringe at the thought), but I can’t think of any right now. And yes, a long, long time ago, for a very short time, I too was the a victim of the watermark disease. Thankfully, I got the vaccine and my photos are all clean now. Sound off! Agree, disagree, feel free to discuss and please do comment.